Editor's note: this is a blog reposted from our friend Molly's blog, Hugging the Cactus. Check it out! 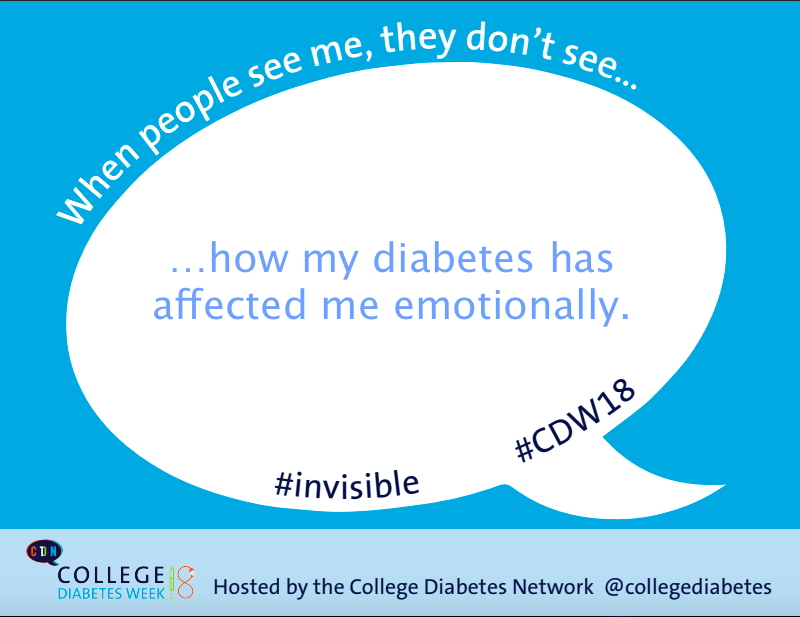 This blog post is a response to a prompt provided by my friends at the College Diabetes Network, who are celebrating College Diabetes Week from November 12-16. Even though I’m no longer in college, I like to participate in CDW activities as much as possible to show my support for the CDN. Editor's note: Lexicon is a CDN Corporate Member and is dedicated to bringing awareness to the relationship between T1D and mental health. Watch CDN's Mental Health and T1D Facebook Live event, which was made possible by funding from Lexicon.